Do you remember where you were when the Meteor hit? I’ve never understood why people phrase it as a question, because of course you remember. The first part of the book, is the best disaster movie, that i never watched. Unlike so many disaster movies, this was actually tense and really interesting. I loved the characters – especially Elma and Nathaniel’s relationship was amazing. All the supporting characters felt like humans, which was wonderful. They are a happily married couple! The sock and horror! And they are interesting as a couple, even though their relationship is never ever in trouble! We need functional couples in fiction so much! Kowal managed to show a period typical work environment full of sexism and racism, that made you angry for everyone’s struggles – without it being bleak. 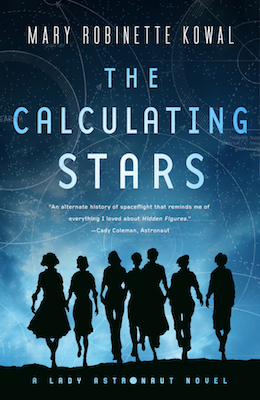 The Calculating Stars is a really hopeful book – in many ways it reminded me of The Martian. 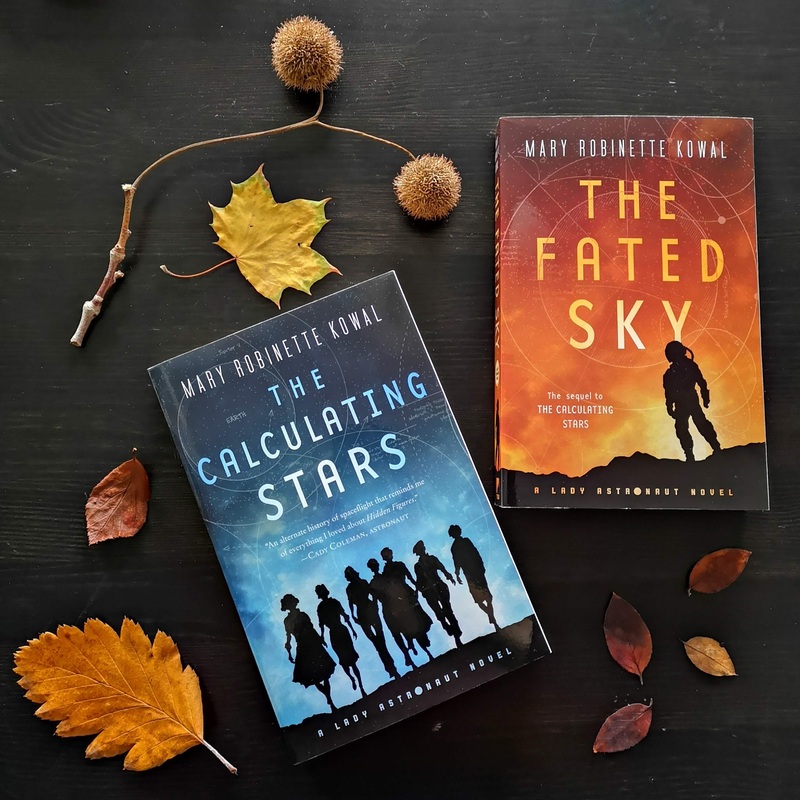 Unlike The Martian though not all of the problems are rooted in nature, some of the problems are created by humans – but for the most part I as the reader understood why those humans made the choices they did – even when I didn’t agree with them (yeah). Elma is really super competent, but she is by no means perfect. She has real problems and real struggles – like all humans. Some of those problems are of her own making, but she never at any point holds the stupid ball. We get enough of her background to understand why she has the problems she has, without being bugged down with flash backs. If you find space explorations the least bit interesting, then you should read this – you will like it!